In response to a Facebook fan – Ian Reed – who said he was ‘can’t wait to see some beauties at Cheltenham Ladies Day’, Irish bookies Paddy Power has released an ad to promote their mobile app and ‘we hear you’ campaign. 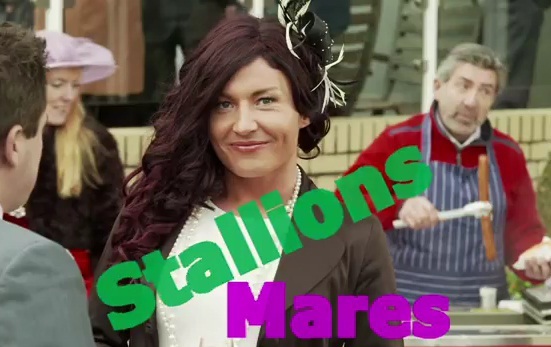 Paddy Power has said they’ll make ladies day ‘even more exciting’ by sending in some transgender ladies, inviting people to spot the ‘stallions’ from the ‘mares’. The ad, which is clearly a stunt intended to create controversy, appeared during Soccer Saturday on Sky Sports 3 times at the weekend, and has led to criticism from the LGBT community. Thanks to Sharmee Mavadia for tweeting with this.